I offer private or shared lessons at your preferred venue. I am based in Western Bay of Plenty but I do travel fairly regularly so if you're outside BoP contact me to see if I am coming to your area at any stage. It doesn't matter if you have never clicker trained any animal before or if you have a good foundation knowledge, I can provide general tuition and specific problem solving. The clicker will complement and enhance your current training programme, to help you reach any riding or groundwork goals. It is not my role to train your horse for you - I prefer to empower you with the knowledge and confidence to do it yourself. 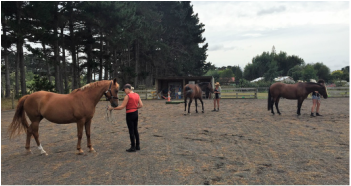 "Foundation & Next Level clinics"
Clinics are available anywhere in NZ on request, and length and content can be tailored to the group (a full weekend is recommended but I can also provide half- or one-day clinics where appropriate). Foundation clinics are primarily groundwork with some ridden work on the second day. Limit of 6-8 horses and 10 auditors (dependent on venue). These clinics are very interactive and hands-on, even for auditors, as we do lots of person-to-person training and practicing of technique etc. "Clicker workshop with Bex Tasker today was wonderful - such a great teacher in every way. We all learned so much, can't wait for more"
"I really like the format - a little theory, a little practical. I also like that auditors have the opportunity to feel the timing etc through simulations, and then watch "real time" with the handlers and horses"
"How animals learn and how best to teach them: the animal training workshop with a difference"
Advance your understanding of learning theory as well as your practical training skills in a workshop for trainers of all animal species. With a focus on positive reinforcement and plenty of hands-on practical exercises, this workshop will provide you with the tools to truly understand the science behind good training. 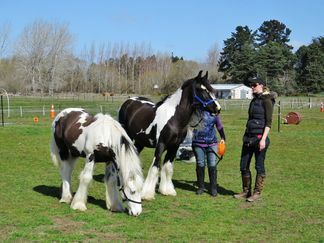 You will leave with the confidence to incorporate new skills and understanding in a practical way into your existing training programmes, whether your passion is dressage, dog sports, rescue rehabilitation, or anything in between. 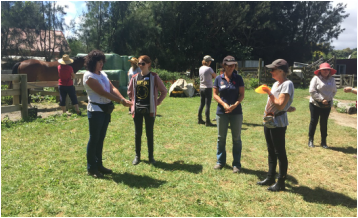 Using simulations, games and practical exercises, you will have the opportunity to explore concepts, practice skills and delve into some more advanced areas, without confusing your animal while you're both learning. This way, when your animal is ready to move to the next level you will already have the roadmap and the skills to ensure success. Suitable for any and all level of trainer - from beginner to advanced. 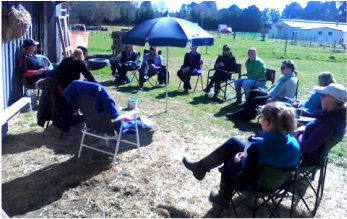 These clinics are held indoors, and are open to dog and exotics trainers as well, adding depth to the conversations. Contact me for more details or if you are interested in hosting. 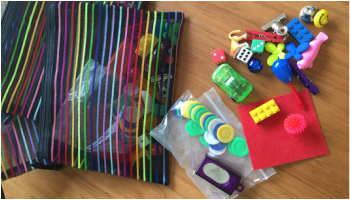 Tabletop clicker training simulation games - perfect for practicing shaping, adding cues, timing and many other concepts and skills. Plus they're just a WHOLE lot of fun! Practicing targeting on each other helps ensure we are coordinated and clear on the task before starting to train the horses. If you live at a distance but would like coaching on certain goals or assistance with specific problems, we can work together via telephone, email, Facebook, etc. ​It is especially helpful if you are able to take video clips. I can advise on the technology aspects of this if needed. ​Please contact me to discuss.